'Paanch', or the Number 5, is said to be the most energetic of all single-digit numbers. Much like the number, the artists on display demonstrate adventure and unpredictability in their continuously evolving styles. 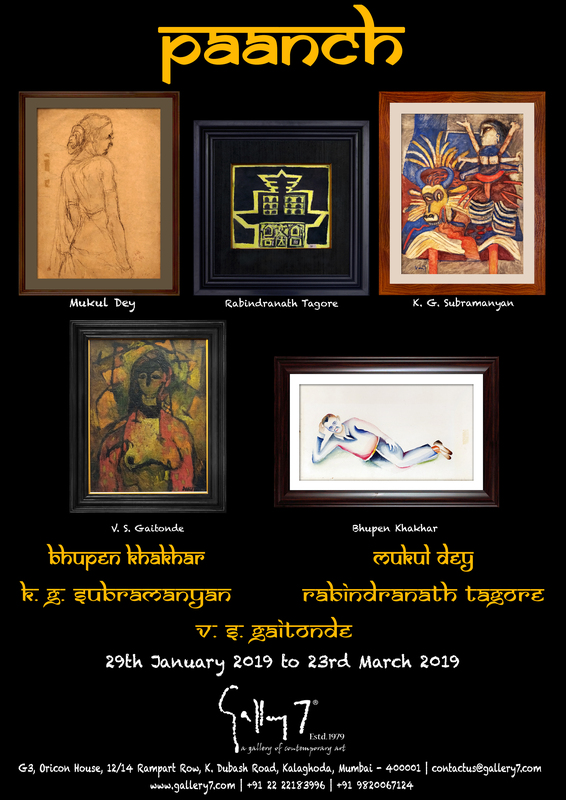 These eminent 'paanch' are among India’s leading artists whose non-conformity and passion have shaped the landscape of Indian art as we see it today.